8: EIA Spring 2019 issue–Out Now! 8: Secessionist Conflict: A Happy Marriage between Norms and Interests? 19: Tackling Climate Change: Why Us Now? 8: Warren and Haley: Post-Trump Foreign Policies? 7: EIA Winter 2018 issue–Out Now! 7: What if Cyberspace Were for Fighting? 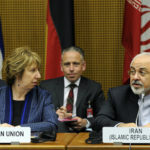 7: Reforming the Security Council through a Code of Conduct: A Sisyphean Task? 7: Human Rights Under Attack: What Comes Next? 2: The Vision: Saving the Old or Building the New? 22: A “Values-Free” Trans-Atlantic Relationship? 23: What do Americans (Republican Voters) Actually Think? 23: Outsourcing Thinking on Engagement? 9: American Engagement: When It Comes to Foreign Policy, Does America Deserve Trump? 8: America’s Selective Burden Shedding? 8: Calculating the Incalculable: Is SAI the Lesser of Two Evils? 8: The Theory of Self-Determination, Fernando R. Tesón, ed. 3: American Withdrawal from the World? 18: Can America Still Find a Purpose? 9: Preventive Force: Drones, Targeted Killing, and the Transformation of Contemporary Warfare, Kerstin Fisk and Jennifer M. Ramos, eds. 4: Rebirth of Universal Jurisdiction? 14: Ending Statelessness Through Belonging: A Transformative Agenda? 14: Trials as Messages of Justice: What Should Be Expected of International Criminal Courts? 14: Are Moral Rights Necessary for the Justification of International Legal Human Rights? 14: Migration in Political Theory: The Ethics of Movement and Membership, Sarah Fine and Lea Ypi, eds. 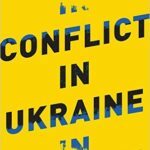 21: What Follows the “Post-Cold War” Era? 14: Is the EU Gradually Renouncing its Fundamental Values in Order to Better Protect its External Borders? 25: Does the United Nations have a real feminist in the next Secretary-General, António Guterres? 15: Should International Courts Use Public Reason? 10: Accountability for the Sustainable Development Goals: A Lost Opportunity? 5: The Ethics of Arming Rebels and U.S. Policy—A Clash? 30: Duties Owed: Does the International Trump the National Community? 23: Is There an “International Community”? 9: International Judges: Is There a Global Ethic? 12: What Should You Do if You Are Not an “Effective Altruist”? 23: Terminator Ethics: Should We Ban “Killer Robots”? 6: Accountability for Targeted Drone Strikes Against Terrorists? 4: Who Are Atrocity’s “Real” Perpetrators, Who Its “True” Victims and Beneficiaries? 19: Are “Coalitions of the Willing” Moral Agents? 24: What Metrics for Assessing the Ethics of Intervention? 12: What Future for Human Rights? 12: From Empire to Sovereignty—and Back? 4: Ukraine: Obligated to Assist? 26: An Ethical Nuclear Posture for the 21st Century? 8: What Is American Exceptionalism? 14: Contemporary Just War Thinking: Which Is Worse, to Have Friends or Critics? 6: “Responsibility to Protect” on Trial—or Assad? 3: Libya and Responsibility to Protect: Great-Power Permission or International Obligation? 12: Is Humanitarian Intervention Legal? 12: What Is Special About Human Rights? 30: Global Democratization: Soup, Society, or System? 6: Measuring Justice: Primary Goods and Capabilities, Harry Brighouse and Ingrid Robeyns, eds. 2: The Responsibility to Protect: Growing Pains or Early Promise? 28: Can There Be a “Kindered” Peace? 15: States of Risk: Should Cosmopolitans Favor Their Compatriots? December 2018: Reforming the Security Council through a Code of Conduct: A Sisyphean Task? December 2016: Trials as Messages of Justice: What Should Be Expected of International Criminal Courts? September 2016: Should International Courts Use Public Reason? February 2013: Contemporary Just War Thinking: Which Is Worse, to Have Friends or Critics? August 2011: Is Humanitarian Intervention Legal? June 2011: Global Democratization: Soup, Society, or System? November 2007: States of Risk: Should Cosmopolitans Favor Their Compatriots? March 2019: America in Decline? February 2019: Competing Bipartisan Consensuses? December 2018: Warren and Haley: Post-Trump Foreign Policies? August 2018: The Vision: Saving the Old or Building the New? June 2018: A “Values-Free” Trans-Atlantic Relationship? April 2018: What do Americans (Republican Voters) Actually Think? February 2018: Outsourcing Thinking on Engagement? February 2018: American Engagement: When It Comes to Foreign Policy, Does America Deserve Trump? December 2017: America’s Selective Burden Shedding? December 2017: American Withdrawal from the World? November 2017: Can America Still Find a Purpose? May 2017: Rebirth of Universal Jurisdiction? November 2016: What Follows the “Post-Cold War” Era? October 2016: Does the United Nations have a real feminist in the next Secretary-General, António Guterres? January 2016: The Ethics of Arming Rebels and U.S. Policy—A Clash? December 2015: Duties Owed: Does the International Trump the National Community? December 2015: Is There an “International Community”? August 2015: What Should You Do if You Are Not an “Effective Altruist”? August 2014: Honesty about War? August 2014: Are “Coalitions of the Willing” Moral Agents? June 2014: What Metrics for Assessing the Ethics of Intervention? March 2014: Ukraine: Obligated to Assist? November 2013: An Ethical Nuclear Posture for the 21st Century? August 2013: What Is American Exceptionalism? June 2012: “Responsibility to Protect” on Trial—or Assad? May 2012: Libya and Responsibility to Protect: Great-Power Permission or International Obligation? December 2017: The Theory of Self-Determination, Fernando R. Tesón, ed. June 2017: Preventive Force: Drones, Targeted Killing, and the Transformation of Contemporary Warfare, Kerstin Fisk and Jennifer M. Ramos, eds. 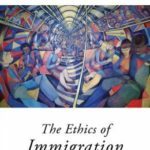 December 2016: Migration in Political Theory: The Ethics of Movement and Membership, Sarah Fine and Lea Ypi, eds. April 2011: Measuring Justice: Primary Goods and Capabilities, Harry Brighouse and Ingrid Robeyns, eds. 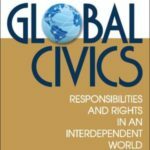 December 2016: Are Moral Rights Necessary for the Justification of International Legal Human Rights? February 2019: Tackling Climate Change: Why Us Now? December 2017: Calculating the Incalculable: Is SAI the Lesser of Two Evils? June 2016: Accountability for the Sustainable Development Goals: A Lost Opportunity? December 2016: Ending Statelessness Through Belonging: A Transformative Agenda? September 2015: International Judges: Is There a Global Ethic? March 2015: Terminator Ethics: Should We Ban “Killer Robots”? September 2014: Who Are Atrocity’s “Real” Perpetrators, Who Its “True” Victims and Beneficiaries? April 2008: Can There Be a “Kindered” Peace? December 2018: Human Rights Under Attack: What Comes Next? December 2010: The Responsibility to Protect: Growing Pains or Early Promise? August 2011: What Is Special About Human Rights? June 2014: What Future for Human Rights? 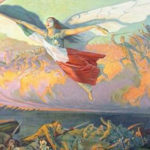 June 2014: From Empire to Sovereignty—and Back? March 2015: Accountability for Targeted Drone Strikes Against Terrorists? December 2018: What if Cyberspace Were for Fighting? March 2019: Secessionist Conflict: A Happy Marriage between Norms and Interests? November 2016: Is the EU Gradually Renouncing its Fundamental Values in Order to Better Protect its External Borders? March 2019: EIA Spring 2019 issue–Out Now! December 2018: EIA Winter 2018 issue–Out Now!